Warner Bros. and Marvel announced today that LEGO Marvel Super Heroes 2 will launch on November 17th for PlayStation 4, Xbox One and PC. It will also be available for the Nintendo Switch in time for Christmas. With a completely original branching storyline, LEGO Marvel Super Heroes 2 introduces amazing new gameplay features, including the ability for characters to manipulate time and a four-player competitive Super Hero battling mode. With a huge array of brand new characters from the Marvel universe, including old favourites in new guises, this game is sure to thrill both LEGO® and Marvel fans, as well as newcomers to the series. Delivering on our commitment to make unforgettable games, it was only a matter of time before we teamed back up with our incredible partners at LEGO, Warner Bros. Interactive Entertainment and TT Games. 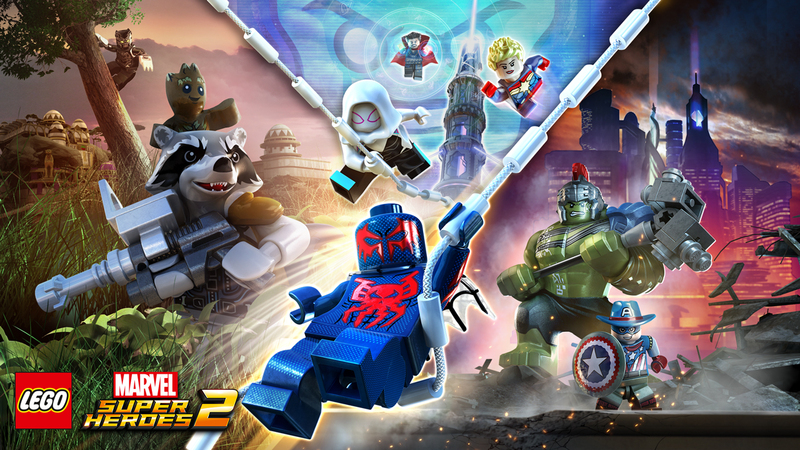 LEGO Marvel Super Heroes 2 brings characters from Marvel’s storied history into an original story that transports players into a one-of-a-kind LEGO® world, offering hours of epic gameplay. According to the press release, players will visit “a myriad” of Marvel locations from Ancient Egypt and The Old West to Sakaar and New York City in 2099, ripped from space and time into the hub city of Chronopolis. The big bad villain will be Kang the Conqueror. Some of the confirmed characters are Cowboy Captain America, Spider-Man 2099, with Thor, Hulk, the Guardians of the Galaxy, Black Panther, Captain Marvel, Doctor Strange, Green Goblin and “dozens” of other Marvel Super Heroes and Super Villains. You can check the teaser trailer below, while the full-length trailer of LEGO Super Marvel Heroes 2 will be released on May 23rd.